Experience this powerful interactive workshop designed to develop awareness of negative beliefs, release old emotions, and learn the basic points of Louise's philosophy. Louise states that, "What we think about ourselves becomes the truth for us. Every thought we think is creating our future, the thoughts we think and the words we speak create our experiences, the best and the worst. 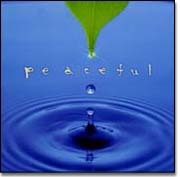 When we create peace and harmony and balance in our minds, we will find it in our lives." This powerful workshop will provide participants with a beginning understanding of healing, using energy-based concepts, and it's application to modern scientific principles. Learn to keep you and your family balanced so that life's stressors seem a little easier. * Define how the healer assists the client to self heal. * Identify methods of treating the energy system. * Explain the energy layers of the body. * Explain the metabolic path of incoming primary energy. & quality of the energy system. * Discuss current research projects.